This delicious recipe ensures the mother and pup are getting the nutrients they need. 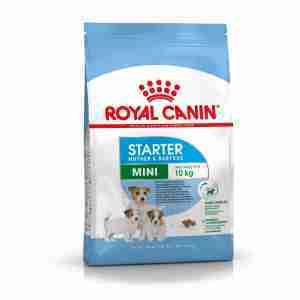 Royal Canin Mini Starter Mother & Baby dog is designed with using Royal Canin’s ‘Start Complex’ – an exclusive combination of nutritional elements replicating those to the ones in the mother’s milk. The recipe is reinforced with specific nutrients to help support your puppy’s natural defences and immunity. This formula is specially adapted to the mother’s energy requirements during a critical point in lactation and gestation, whilst also supporting the puppy’s growing immune system this recipe contains plenty of nutrients. The kibble has been created to be very palatable for the mother as well as easy to rehydrate when soaked in water. This makes it an easy transition for your pup when weaning from mother’s milk to solid food. 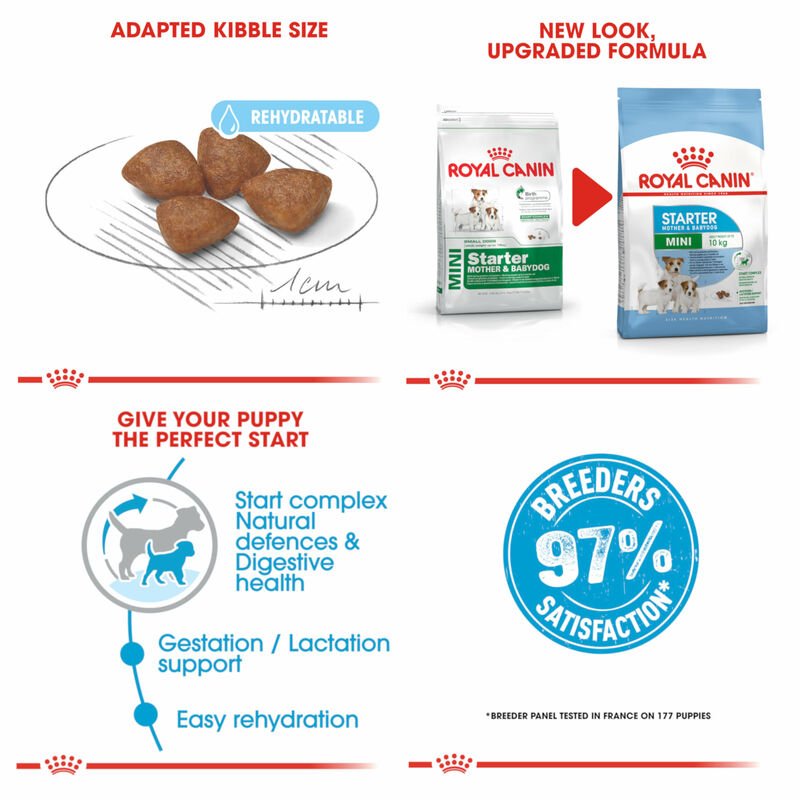 All of Royal Canin’s products undergo an extensive quality process to guarantee the optimum quality of food, so you can be sure your dogs are getting a complete and balanced diet. Produit de très bonne qualité et ma chienne et ses bébés sont en pleine forme. Produit parfait mais une fois de plus le temps entre la commande et l'expédition a été long.